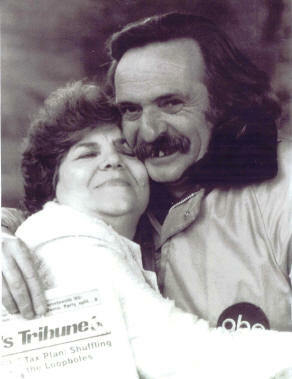 Jack Hirschman has served San Francisco for years as one of the city’s unofficial poets laureate. A longtime resident of North Beach, he spends many mornings in the vicinity of Vallejo and Grant, his rangy frame curled over a table in Caffè Trieste or stretched out on the sunlit steps of St. Francis of Assisi, across the street. An artist as well as a poet, his paintings make frequent appearances in local galleries. Hirschman is known equally well for his political activism, which takes many forms from participation in street demonstrations to publishing translations of radical poets. His passionate commitment to lifting up the downtrodden infuses his poetry as well.